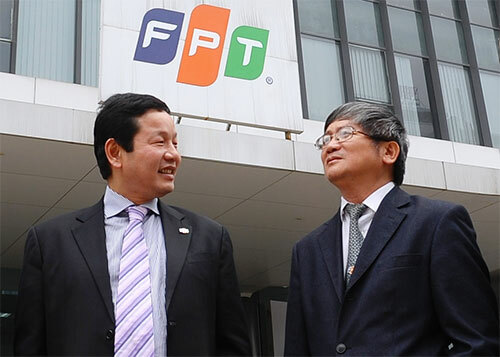 The Board of Directors of the FPT Corporation passed a resolution to appoint Bui Quang Ngoc as the CEO of FPT Group, replacing Truong Gia Binh. Truong Gia Binh, FPT chairman, said: "The appointment of the new CEO is to separate the position of the chairman of the Board of Directors and CEO in modern governance standards and enhance operational efficiency of the company. The Board of Directors has decided to choose Ngoc who has deep understanding of FPT, management and organisation ability to assume the position." Ngoc is one of the founding members and currently vice chairman of the Board of Directors and chairman of the Internal Control Committee of the FPT Group. He was the first head of IT division of FPT, the predecessor of the important firms such as FPT IS, FPT Software, FPT Telecom and FPT Trading. Having held different important positions in FPT in the last 25 years, he is also one of the 13 founders of FPT. Ngoc currently owns nearly 10.2 million FPT shares, equivalent to 3.7 per cent of outstanding shares, worth about VND337 billion ($16.5 million) (based on the price for FPT shares on July 31, 2013).